F3 is our premium filter. The High-Flo Filter + Active Carbon is the most versatile filter. The outer layer of the F3 filter is capable of trapping particulates down to .1 microns in size. The inner layer, known as the Active Carbon element is effective towards fumes and odors. Combining the two technologies this filter has been laboratory tested to be 97% effective. 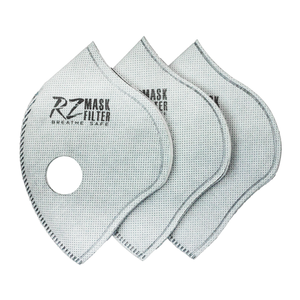 The High-Flo particulate filter promotes 40% better breathability than our standard F1 filter. Opened packaging cannot be returned.